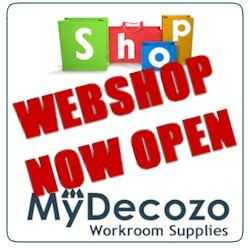 Stay up to date with whats happening to the my.decozo site - All additions to the site will be detailed here so check in on a regular basis. You can also leave your requests and ideas for the site here. Treat this space as your notice board - Please leave details of any up and coming events here! Member introductions area - Introduce yourself here, tell us a bit about yourself... We're a friendly lot! Last Post: Pattern Placement - Heading or Hem? Pattern Placement - Heading or Hem? Soft Valances - eg. Box Pleat - Goblet, Triple Pleat & Serpentine. Last Post: Grrr- I hate sewing velcro! Grrr- I hate sewing velcro! Use this area to ask for help and inspiration with those difficult design situations - Up-load pictures of those tricky to dress windows.. This is the place to get ideas, inspiration & the opinion of others! Here you can exchange ideas, ask for help and advice. Interior design questions and answers. Ideas, suggestions & questions: Creating the perfect, functional workroom. Share your workroom ideas and tell us why you bought particular items. Sundries & recommendations - Threads, Needles & Pins etc..
Book recommendations – What books do you use most often in your work room? Discuss the books and ask questions here. Please start a new topic for each different title. Home based soft furnishing and curtain making courses leading towards a recognised qualification. Please leave your feedback, good or bad about the training courses mentioned above.. If you've attended any of them, let us all know what you thought. Most users ever online was 191 at 10:16 on 11th January 2018. Welcome to our newest member, Dot.